Centennial Logger was made by Jerry Werner in 2004. 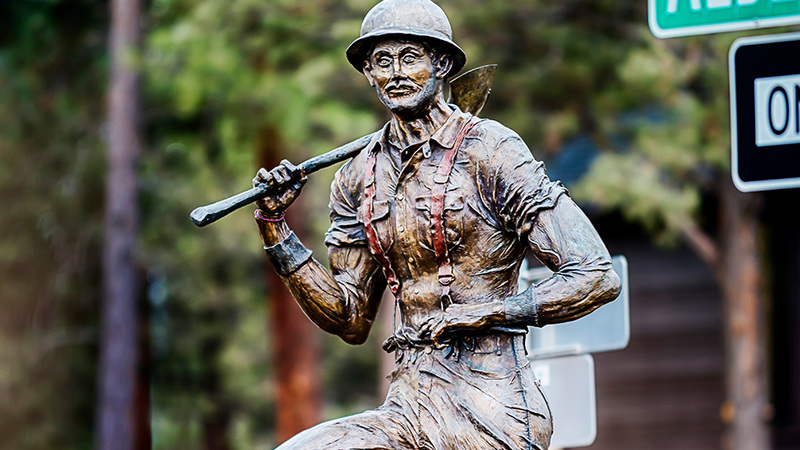 Along with Centennial Planter, Centennial Logger was created by long-time Central Oregon artist Jerry Werner to commemorate the City of Bend’s 100th anniversary. The Bronze logger looks as if he might be gazing at Farewell Bend Park and remembering a time when the area was a bustling mill town. Or maybe he’s just looking at all the happy people and dogs running around, wishing he could join in the fun.